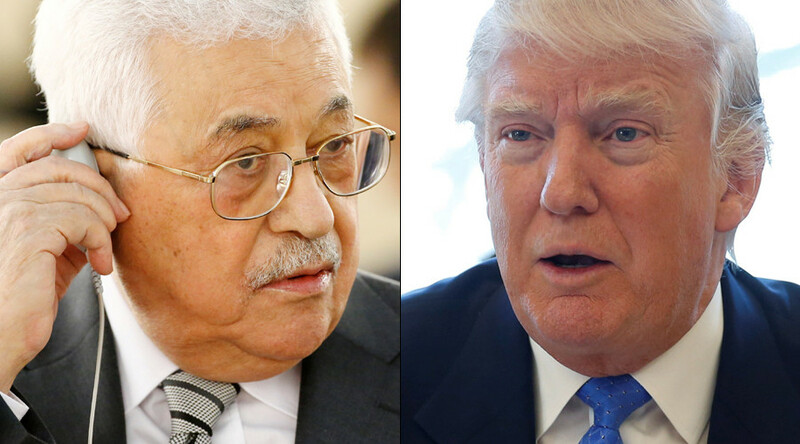 US President Donald Trump has invited Palestinian Authority President Mahmoud Abbas to the visit the White House “very soon.” The invitation came during the first conversation between the two leaders since Trump entered the Oval Office. “President Trump has extended an official invitation to President Abbas to visit the White House soon to discuss ways to resume the political process, stressing his commitment to a peace process that will lead to a real peace between the Palestinians and the Israelis," said Abbas spokesman Nabil Abu Rdainah, according to the official Palestinian WAFA news agency. Trump insisted that any Israeli-Palestinian agreement be through direct negotiations, according to the White House. "The President emphasized his personal belief that peace is possible and that the time has come to make a deal," the White House said in a statement Friday. "The President noted that such a deal would not only give Israelis and Palestinians the peace and security they deserve, but that it would reverberate positively throughout the region and the world." "The President noted that the United States cannot impose a solution on the Israelis and Palestinians, nor can one side impose an agreement on the other," the White House added. While Trump didn’t call Abbas until Friday morning, his 50th day in office, he has spoken with Israeli Prime Minister Benjamin Netanyahu on the phone at least twice during that time. Netanyahu visited the White House in mid-February. Trump caused concern among Palestinians during that visit, when he appeared open to a one-state solution, in opposition to decades of US foreign policy. 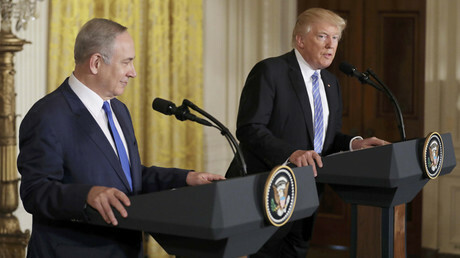 "I'm looking at two-state and one-state, and I like the one that both parties like,” Trump said during a joint press conference with Netanyahu. “I’m very happy with the one that both parties like. I can live with either one." Palestine’s official position calls for the establishment of an independent state within the 1967 borders with East Jerusalem as its capital, but rampant Israeli settlement expansion has virtually rendered this dream unviable. "President Abbas stressed the commitment to peace as a strategic choice to establish a Palestinian State alongside the state of Israel," Abu Rdainah said. The Palestinian leader was “convinced that President Trump is serious about achieving peace and is looking for a deal to achieve long-awaited peace,” Abu Rdainah added. The last peace effort to reconcile the Israelis and Palestinians, brokered by then-Secretary of State John Kerry, collapsed in April 2014. Although Trump said during the presidential campaign that he didn’t see settlements as an impediment to peace, when he met with Netanyahu, he asked the Israelis to “hold back on settlements for a little bit,” a position that surprised the prime minister. Although Palestinians support Trump’s request on Israeli settlements, his remarks about a potential one-state solution are not the only sticking point between them and the new US administration. Trump and David Friedman, his nominee for US ambassador to Israel, support moving the American embassy from Tel Aviv to Jerusalem. Friedman’s nomination was approved by the Senate Foreign Relations Committee on Thursday, and moves to the full Senate for confirmation. He has said he plans to work at least some of the time in Jerusalem. Israel declared Jerusalem as its capital in 1950, although it’s not formally recognized as such by the international community, which maintains foreign embassies in Tel Aviv.